So you've got an iTunes gift card in your birthday present or from loved ones as a token of their love towards you. Well, Congratulations! But do you know how to redeem an iTunes gift card? No? Fret not! We're right here to guide you about the step by step process on how to redeem itunes gift card on iPhone. Let's now wait no longer get to understand the step by step process. Well, we'll keep this crisp. It is a gift card that contains a special code at the back of the card, which can be transferred to the account of the one who is currently using it. It can benefit them with a balance in the Apple Store and facilitate in making any purchases in it. If you wonder how to redeem iTunes gift card, then iTunes is a convenient way. You can redeem iTunes gift card and add store credit to your Apple ID. It can later be used for in the App purchases. 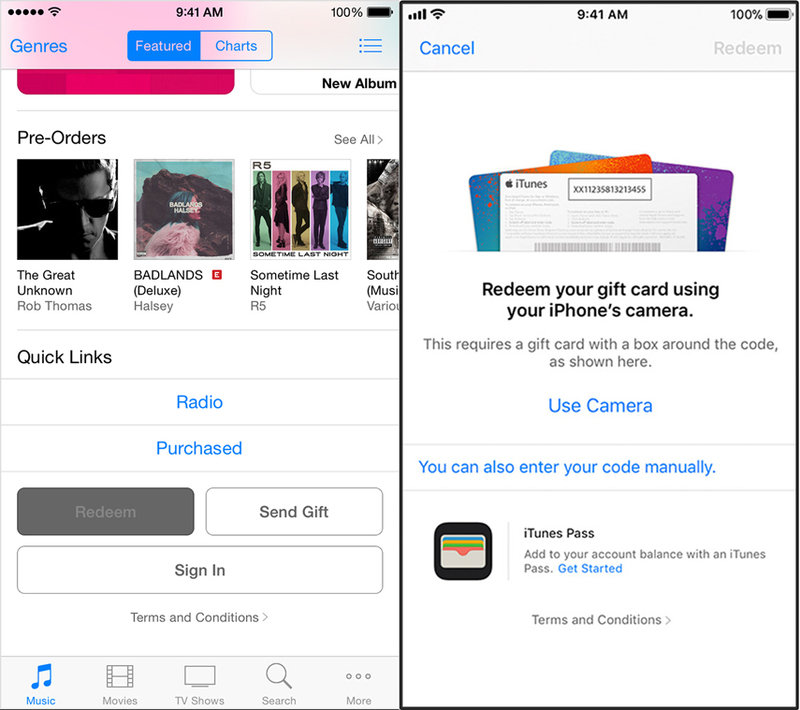 An App Store & iTunes Gift Card gets you store credit, whereas Apple Music Gift Card can be redeemed for Apple Music subscription/store credits. You can also redeem iTunes gift card on iPhone, but the process is bit different than iTunes. First get the redemption code at hand, prior to redeeming iTunes gift card online. Note this code, launch iTunes store on your iphone and login to your Apple ID. Scrull down to the bottom of the page and hit on 'Redeem' button. Click 'Use Camera' for redeeming your gift card and fullow the onscreen guide to get the redemption code. Manual entry is also possible. Hit 'Redeem' afterwards. You have learnt how to redeem iTunes gift card free codes. What if the codes won't work or iTunes crashes in between? For any kind of iTunes errors, you can always turn to Tenorshare TunesCare any time. Moreover, it can also fix iTunes sync problems when iTunes can't read iPhone content, connect to iOS devices, sync session fails to start etc. The software can enhance performance of iTunes like never before. Repairing iTunes playing issues, sync issues, update and install errors, fixing corrupted iTunes library are few of the benefits of this program. Step 1: Install and launch the software on your PC and then get a lightning cable to connect your iOS device to it. Hit 'Fix All iTunes Issues' tab on the TunesCare interface if you're experiencing issues with your iTunes. Note: Select 'Fix iTunes Sync Problems' button, in case you wish to automatically repair the corrupted iTunes library. Step 2: Lastly, hit on 'Repair iTunes' button. Within a fraction of minutes your iTunes will get repaired. You can launch iTunes and get through with the redeeming iTunes gift card easily. When you have been disappointed by iTunes, you must not brood over how to redeem iTunes gift card on iPhone. Tenorshare iCareFone will help you selectively and quickly backup and restore your iOS device. It also manages your iPhone/iPad efficiently without any data loss. With this toul, forget about how do you redeem an iTunes gift card. This ultimate application protects your iOS device from regular iOS problems. 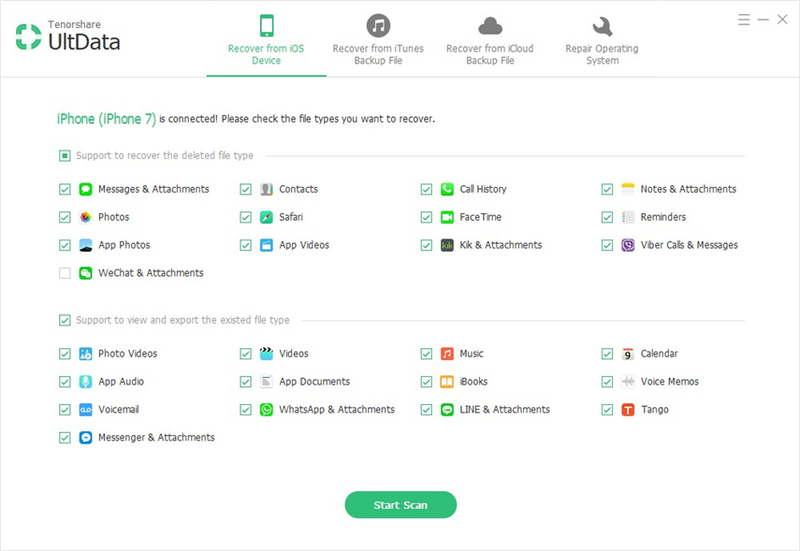 It enhances device performance as well as transfers photos, music, contacts, videos, and SMS between your iPhone and computer sans restrictions. Step 1: Install and launch Tenorshare iCareFone on your computer. Get a USB cable and connect your iPhone to it. Trust the computer on your iPhone and tap the 'Backup & Restore' tab. Step 2: Pick your desired file types by ticking them or select all by marking 'Select All'. Hit the 'Backup' button soon after. Step 3: You can see 'Backup Completed' message on screen, along with the list of backed up data. Choose 'View Backup List'/'View Backup Data' option to view the backup. Step 1: Launch iCareFone and with a USB cable, connect a new iPhone to your PC. Hit on the 'Backup & Restore' tab and then choose 'To view or restore previous backup files' from the bottom-left part of the window. Step 2: You can find a list of iTunes or iCareFone backup files. Pick a backup from there and press 'View' to initiate scanning of the backup file. Results will be loaded on the next page. Step 3: Preview and select what you wish to restore from the next page. Then tap on the 'Restore to Device' or 'Export to computer' option from there. Tap 'Restore to Device' so that the data gets restored to the new iPhone. We are positive that the article has helped you in understanding 'how do I redeem an iTunes gift card?'. And also which touls to look for in case iTunes runs into trouble and halts your iTunes gift card redemption process. Always look for Tenorshare TunesCare and iCareFone to skip the hassles while redeeming iTunes gift cards.